Our First Sunday Family Praise service has a new look! This is a service for the whole family to take part and share in worship together. 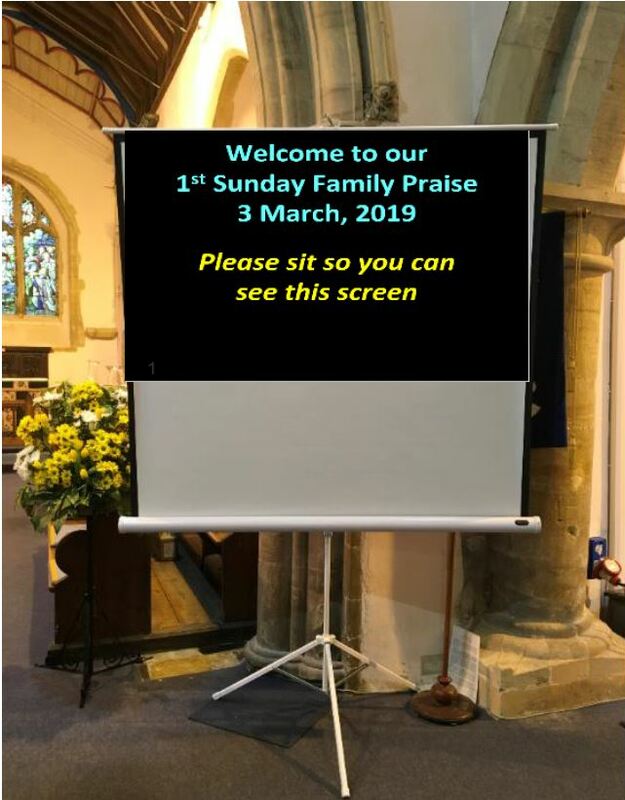 We use a screen to project some new songs which our young people may have learnt at school, as well as old favourites which we can all enjoy as we lift our voices in praise. The service involves the children in worship while giving thoughtful teaching to the adults. Communion is not taken at the morning service but is celebrated at the evening service.